Mercer reported Monday that the funding levels of pension plans sponsored by S&P 1500 companies fell by 1% in April to 84%. Meager stock market gains didn't offset pension liabiliy increases in April, Mercer found. That left a collective deficit of $360 billion as of April 30, up $28 billion from March and up from $257 billion at the beginning of the year. Mercer estimated that aggregated assets of the S&P 1500 constituents stood at $1.84 trillion through the end of April, compared with aggregate liabilities of $2.2 trillion. Equity market gains did not offset the liability growth of pension plan sponsors, according to Mercer. The S&P 500 index earned about 0.6% during April. The Mercer Yield Curve discount rate for mature pension plans fell by 11 basis points to 4.17%, its lowest point in almost a year, driving liabilities upward. “Long-term interest rates continue to decline in 2014, taking away about half of the improvements that we saw in 2013,” Jim Ritchie, a principal in Mercer’s retirement business, said in a statement. Ritchie said the first few months of the year illustrated how quickly pension gains could be erased. He noted that some plan sponsors were faring a lot better than others this year, in particular ones that have implemented risk management strategies such as risk transfer programs or “glide path policies,” whereby asset allocation becomes more conservative as the policy approaches a target date. 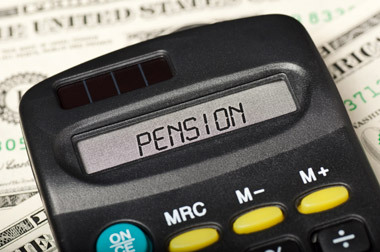 Mercer’s monthly US Pension Buyout Index, which allows plan sponsors to see the relative cost of a buyout by an insurer of retiree liabilities of a defined benefit plan and how that cost changes over time, increased from 108.4% to 108.6% in March. The economic cost of maintaining the liability remained level at 108.7% of the balance sheet liability.